"You must have the same attitude that Christ Jesus had. Though he was God, he did not think of equality with God as something to cling to. Instead, he gave up his divine privileges; he took the humble position of a slave and was born as a human being. When he appeared in human form, he humbled himself in obedience to God and died a criminals death on a cross." "That is why we never give up. Though our bodies are dying, our spirits are being renewed every day. For our present troubles are small and won't last very long. Yet they produce for us a glory that vastly outweighs them and will last forever! So we don't look at the troubles we can see now; rather, we fix our gaze on things that cannot be seen. For the things we see now will soon be gone, but the things we cannot see will last forever." So, now that I'm using this blog for my personal reflections and utilizing other media for communicating about the ABLE program, I'm going to take the liberty to go a little "off topic." Even as a personal post, I really don't like to comment publicly on politically charged topics because I think there's so much opportunity to be misunderstood and I would so much rather there be dialogue than to try to just make my point. But some things have been running through my mind that I hope might be an encouragement toward peace and loving attitudes towards brothers and sisters in Christ and toward fellow human beings in general. People have been talking about "white privilege" for a while and it makes a lot of people uncomfortable. Being that I'm white, I could be one of those uncomfortable people. I could feel defensive about being labeled as having an advantage simply because of my lineage, and insist that the claims of injustice from people who have lived a very different set of experiences from my own are overstated. But living in Cambodia, I can't help but see that I have been privileged. It's humbling. I recognize the expectations that I have, the sense of entitlement I often have, that are in contrast to so many of the people around me, and sometimes I feel like a spoiled brat. My upbringing has taught me to view a refrigerator as a necessity, but many Cambodians I know don't have one. I have a bathroom right off of my bedroom. Many Cambodians have to walk several houses away to use a bathroom, if they have one available at all. Even while living in Cambodia I have access to so many things that many Cambodians do not. What choice did I have in being born to American parents rather than to Cambodian parents? What have I done to warrant this status? Zero. Absolutely nothing. Why do we chafe at the thought of being called privileged? Probably because we like to think that we deserve what we have and it irritates us for others to say that we had an unfair advantage. I'm sorry, fellow white people, but we have had an advantage. And, no matter what your skin color, if you've grown up in the developed world, you have too. I've seen the contrasts both in the U.S. and here, and I can't ignore the reality that is plainly before my eyes. Brothers & sisters, can we recognize that we've all received blessings we didn't deserve? Can we also accept that any of us can also be subject to negative influences, systems, and conditions that we had little to no control over? I think another reason people don't like being called privileged in light of another's claim to injustice is that they feel they are being blamed. I'd like to propose that, while you may not be directly responsible for the problem, as believers, we have a responsibility to be part of the solution. The first step seems to me to be a willingness to reserve judgment & really listen to other people's experiences and think of what it would be like to be in their shoes. Thank God that Jesus did that for us. He didn't just think about what it would be like, He emptied Himself and walked in our shoes. Black lives matter. Police officers' lives matter. Cambodian lives matter. We all matter to Jesus and, for that reason, we ought to matter enough to one another to drop our pride & defensiveness, drop the blame game, and work together for justice, having concern for the things that affect one another. Jesus had the privilege of being the divine Son of God. He didn't pretend that He wasn't, but He willingly laid aside the benefits of that privilege to save us. Being aware of being privileged, I'm continually confronted with choices about what to do about it and I invite all of my brothers & sisters to do engage in the same honest reflection. I had already written this when I stumbled across this video. I think it may help to make the point. The ABLE program now has it's own blog! You can still find my personal reflections on my own journey as I serve the Lord here in Cambodia on this blog site, but if you want more info about the ABLE program you'll find it here! Click here to go to the new ABLE blog. One aspect of my "Cambodia Normal"
Near the beginning of my six month home assignment I had sort of a surreal experience. Having flown in to the Twin Cities from California the night before, I was standing in my sister, Suzanne's kitchen, sipping my coffee while looking out the window. I had this sudden "deja vu" kind of moment where it felt as if I had never even been in Cambodia, as if the past two years had just been a dream. I had lived with Suzanne's family for the two years prior to my leaving for Cambodia, and the experience of sipping coffee next to their kitchen window as I prepared for the day felt so familiar. That may not seem strange, but it did to me because I had spent the last two years adapting to a completely new normal. It's hard to explain how weird it felt to slip so easily back into a Minnesota morning after two years of doing life in Cambodia. Well, last week I was happily surprised when I experienced the same phenomenon on this side of the world! I had flown in to Phnom Penh very late at night, so I decided, rather than having to disturb multiple people at that late hour to get into my apartment, I would stay at a hotel. The next morning I checked out and hired a tuk tuk to take me to my place. And as I was traveling down the streets of Phnom Penh, there it was....that sudden feeling that this was so totally normal. Once again it felt, in a way, as if I had never left. What had once been so "foreign" was now something I could slip back into with relative ease, almost as easily as I had slipped back into American life. Please know, I still need your prayers in a big way. There are still aspects of transitioning from one world to another that are hard, particularly missing the people I care about who are no longer with me when I leave one place for the other. I'm only two weeks in and I'm already struggling at times with loneliness. Also, I still have a lot to learn about Cambodia and am still very susceptible to all kinds of culture stress. But, it was just encouraging to recognize God's grace enabling me to slip from one kind of "normal" to another without feeling like I had lost too much ground. It was refreshing to realize that it has, in a sense, become home to me and that going from one home to another doesn't require starting over completely, no matter which direction I'm going. Thank God for that! When you were a kid and you got some special new toy, or maybe a fun new pet, weren't you just so excited for "Show & Tell" day at school to come around? Sometimes we just want to let other people in on the stuff that is meaningful to us. Being in Cambodia I have encountered that a lot. I love to be able to capture on camera or video many of my Cambodian experiences so I can "show & tell" my friends in America and other parts of the world. Sometimes you just can't do that though. I was thinking about this last month, during a very challenging, emotional week. That Sunday a little one from our ABLE program died, and, later in the week, we received a referral for a sweet little guy who had some puzzling health issues and was extremely malnourished as a result. 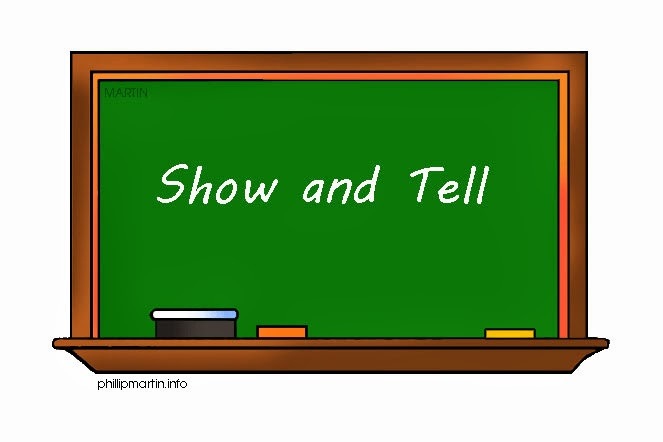 What does all of this have to do with "Show & Tell"? Well, there were a couple of poignant moments related to those events that I would have loved to capture so I could share them with you. The first was at the funeral of that precious little girl. She was not yet a year old, but she had already outlived her doctors' expectations. She had a number of strikes against her in terms of her health, in addition to being profoundly impaired, but seemed to be thriving in the care of her loving foster mom. And then, suddenly, she was gone. We had done our best to prepare this foster mom for the inevitable reality and, now that it had happened, we supported her in her grief. I attended the funeral along with many of our Khmer Children In Families staff. The photograph I wanted to take, but couldn't, was of our ABLE Community Rehabilitation Team member wrapping her arm around this grieving mother as she wept over her child. I have prayed (and I know many of you have joined me in praying) that the staff of the ABLE program would have not only the skill, but the heart needed for this special ministry. This "virtual snapshot" to me really captured how in this, as in so many other ways, God continues to provide "far more abundantly than all that we ask or think." (Eph 3:2). I was so thankful for a foster mother who loved and grieved her foster child as if she had been her own flesh and blood, and for our ABLE program staff who saw that this foster mother received the support she needed when she needed it most. The second snapshot that I would have loved to capture was when I accompanied the family of the sick little boy to a medical clinic. This family had come to us in desperation. They had heard about our foster care program and wondered if we could find a foster family for their little boy because they didn't know how to cope with his mysterious illness. The doctors they had seen weren't telling them anything and the child was only getting worse. We encouraged them that we would come alongside them and help them so they would not have to relinquish their little boy. While we were waiting our turn at the clinic, I saw this sweet young couple interacting with their little boy with such love and tenderness. I thought of how often people in the West hear of families in developing nations "abandoning" their children and how little we know of what it is to walk in their shoes. In a country with rampant poverty and virtually no social supports or access to medical insurance, a serious illness can financially devastate a family. In many situations, relinquishing a child is a decision of last resort and often made with the hope that it will offer the child a chance at a future that the family feels they are unable to provide. When I saw this little boy with his parents I knew that the idea of giving him up had to have been a wrenching one for them. I'd like my friends and family to see in this "virtual snapshot" why our staff at Children In Families work so hard to do what we do. In both of these instances the scenes were just too personal to capture in a photograph and used to "show and tell," no matter what the motivation might be. You may have noticed that, though I work with children here, you don't see a lot of children's faces in the pictures that I do share. We at Children In Families want to honor our families' right to privacy and to be a normal family. In keeping with that, I try to capture the essence of what we do without putting childrens' faces on display. Now that I've started my six month home assignment I'm looking forward to doing a lot of "show & tell" about the work that Children In Families is doing. Please send me a message if you'd like to have me come share with your church or other group!